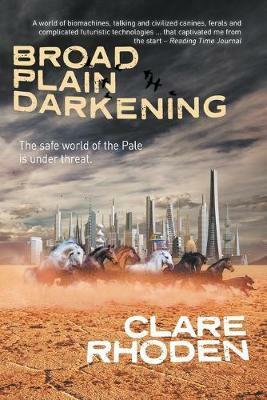 The safe world of the Pale is under threat. Inside the policosmos, the new Regent Adaeze strives for dominance over the all-powerful Senior Forecaster, but the Pale’s humachine citizens are unaware that their city is close to collapse. Outside on Broad Plain, the exiled human Hector undertakes a dangerous trek to find a safe haven for the orphaned twins. How can anyone survive as their world shifts underneath them?